Nonconforming picture books challenge stereotypes: in these books, boys and girls act and behave in a way that feels right to them rather than by conforming to expectations or conventional standards. These picture books encourage empathy and exploration, fostering an understanding that it’s okay for kids to be different, for kids to be true to themselves. 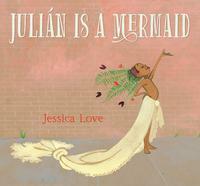 One day, on his way home from the pool with his abuela, Julián sees mermaids in the subway: mermaids with shiny, swishy gowns and beautiful long hair. It’s Mermaid Parade day and Julián is mesmerized. He wants to be a mermaid too, and once home, he finds ways to make his own costume. But what will his abuela think? Morris loves school and in his classroom he gets to paint, sing, and play. There’s even a dress-up center with a tangerine dress. 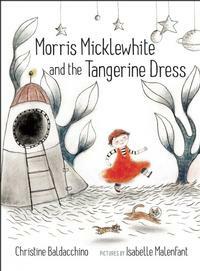 Morris loves the tangerine dress: it reminds him of the color of his mother’s hair, of tigers and the sun, but most of all, Morris likes the way it makes him feel when he wears it. But Morris’s classmates do not understand. Boys don’t wear dresses, they say. What is Morris to do? Crayon Red has a red label, so everyone expects him to color strawberries red, but every time Red tries to color, it comes out blue. Red tries to adjust, to find ways to be red, with no success. Until one day, a new crayon friend needs help coloring a blue ocean, and Red does it beautifully, discovering his true identity. 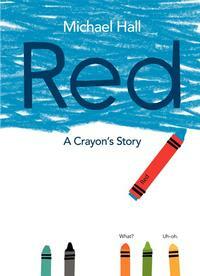 Red is a Blue crayon, and that changes everything. Here are some nonconforming picture book picks available in our catalog and in a neighborhood library near you!